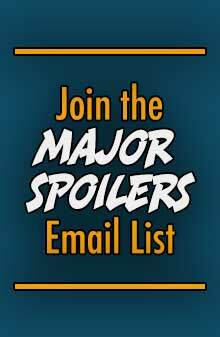 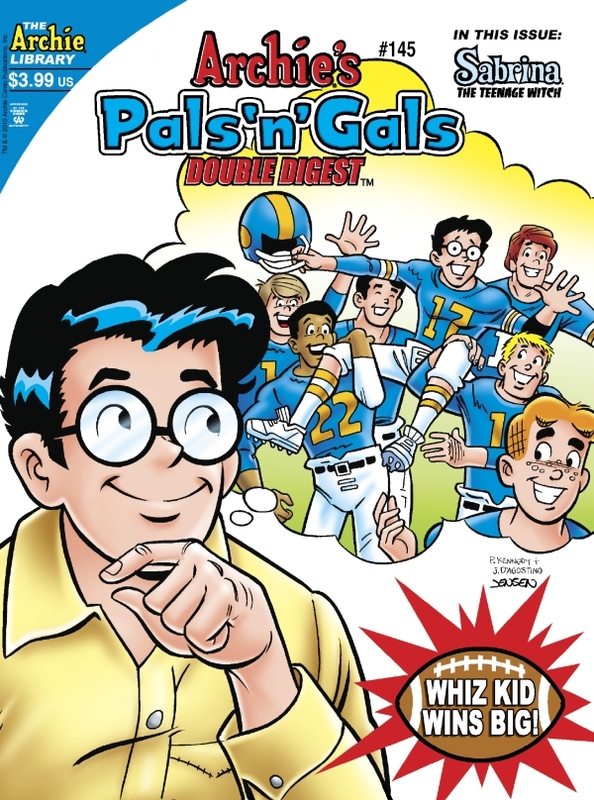 Archie Comics sent Major Spoilers a sneak peek of Betty #188 and Pals’n’Gals Double Digest #145, both arriving in stores next week. 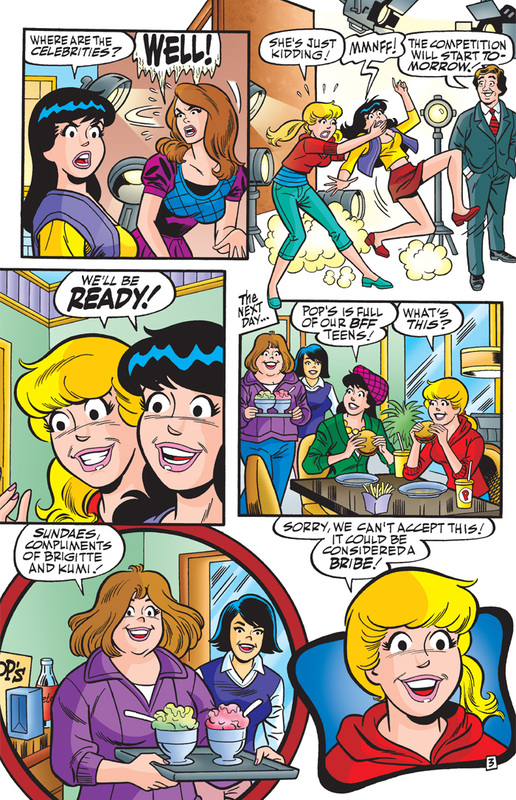 Reigning “World’s Greatest BFFs” Betty & Veronica judge the competition to determine the next greatest BFFs. 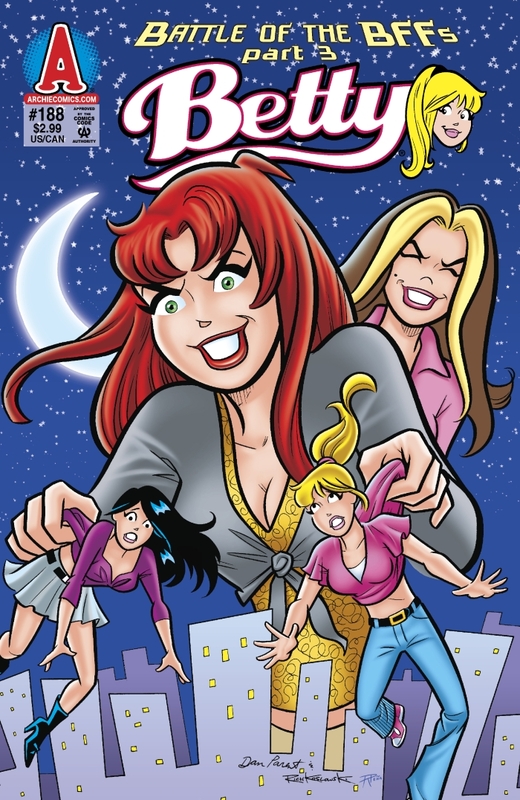 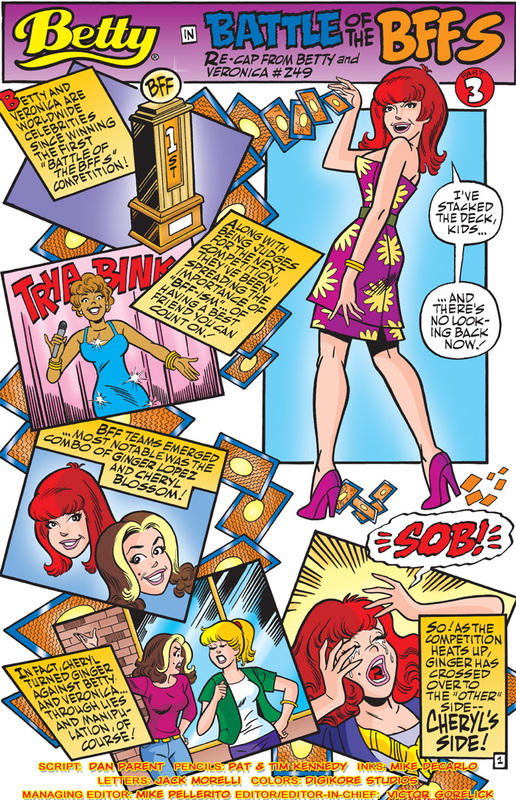 Cheryl Blossom snares Ginger Lopez into her plot to best B&V by scheming her way through the contest. 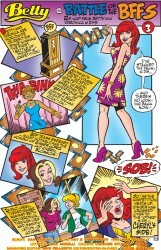 But will time on BFF Island prove to be too much for her manipulations? 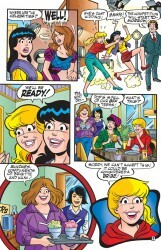 Continued from BETTY & VERONICA #249. 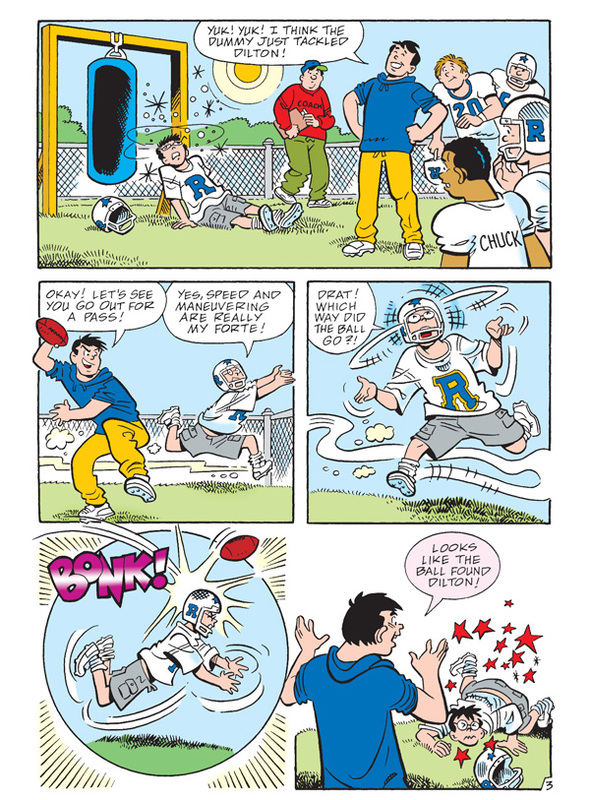 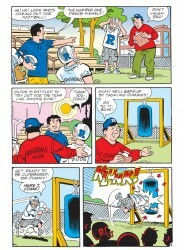 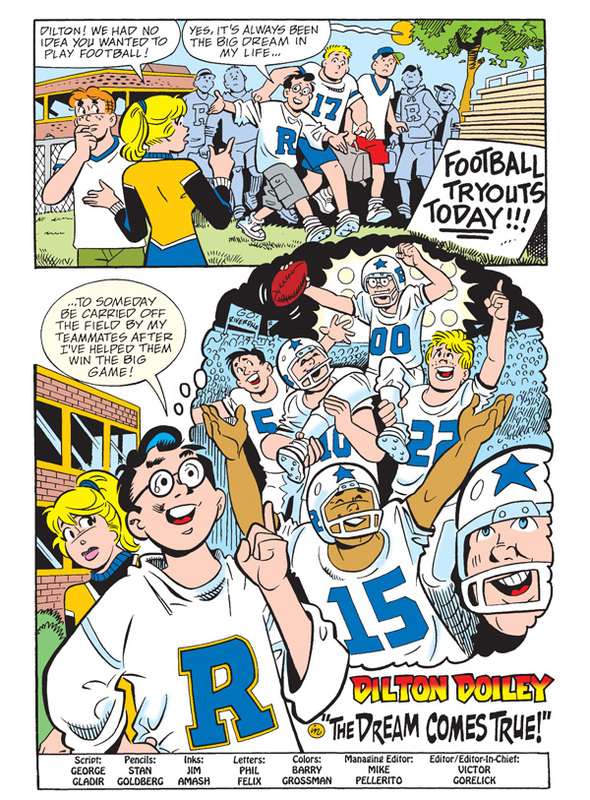 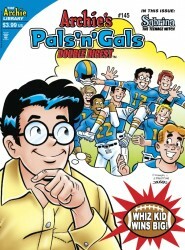 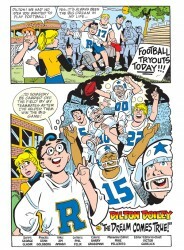 When Dilton’s attempts to make the football team get sacked, he finds that he might be better suited for the sidelines… as team mascot! Then Archie and his friends become “Haunted Helpers” by making a deal with Mr. Lodge: If they can clean up an old theater before renovations, The Archies can be the premier act when it reopens! 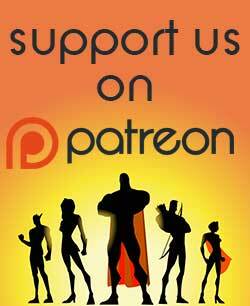 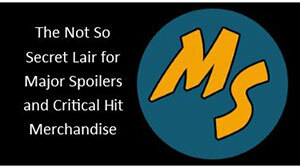 They’ll just have to sweep away a tangle of cobwebs first… and perhaps a ghost or two!